CHICAGO- Illinois state Sen. James Meeks withdrew his candidacy for Chicago mayor on Thursday, and he urged other African-American candidates to follow his lead and rally what he called a divided black community around a single candidate. The surprise Christmas week announcement came a day after he met to discuss the idea of a unity candidate from the city's large African-American community with fellow Democratic candidates U.S. Rep. Danny Davis and former U.S. Sen. Carol Moseley Braun, both of whom are black. "My friends, I come before you today to say that our city - and our community - is divided," Meeks said in a statement. "As long as our community remains divided and splintered - to the specific advantage of the front-running, status quo candidates - we will never see things improve. We need to speak with one voice." While the idea of a consensus African-American candidate has been discussed for weeks, Meeks has stumbled in recent days while courting voters and he won little support in a recent poll. He said in his statement he had no plans to endorse any other candidate, and his spokeswoman said he would not have any further comment as he planned to spend the holidays with his family. Meeks, a senior pastor of a mega church on Chicago's South Side, said in his statement that even though he believed he was the best candidate, he would leave the race and he wanted the remaining candidates to submit to "a caucus of clergy, elected officials, and residents whose sole purpose shall be to winnow the remaining field down to one candidate." Davis, reached by telephone after Meeks' withdrawal, said he had no intention of dropping out. "I think there will be a consensus when people vote," the congressman said. In November, a coalition of black clergy members, business leaders and community activists concerned about splitting the black vote selected Davis as their preferred candidate. A Chicago Tribune/WGN poll released earlier this month showed Davis was the leading black candidate in the crowded field, with support from 9 percent of registered likely voters. Meeks followed with 7 percent, and Braun had 6 percent. A spokeswoman for the coalition, Tracey Alston, said Thursday that group leaders are still convinced one black unity candidate will emerge. "Stay tuned," Alston said. "The process is ongoing. It will remain ongoing until there is one candidate." More than a dozen candidates remain on the ballot for the Feb. 22 election, including former White House chief of staff Rahm Emanuel. He cleared a major hurdle Thursday in the race to replace retiring Chicago Mayor Richard M. Daley when city election officials rejected a residency challenge that would have kept him off the ballot. Meeks, believed to have a wide base of support centered around his 10,000-seat arena-style church, has been known for his education advocacy, particularly a highly publicized school-funding protest he led in 2008. But he recently ran into trouble with other minority groups and has struggled to appeal to gay voters. Last month, during a mayoral forum on the black-oriented radio station WVON, he said that Asians, Hispanics and women should not be considered "minorities" in the same fashion as African Americans. The comment angered numerous community and advocacy groups. Meeks, who doesn't support civil unions, also has been meeting with gay advocacy groups to quell concerns that he opposes gay rights. typical democrats. why are you people lockstep with these folks. when are you going to admit the racist policies of the democratic party. 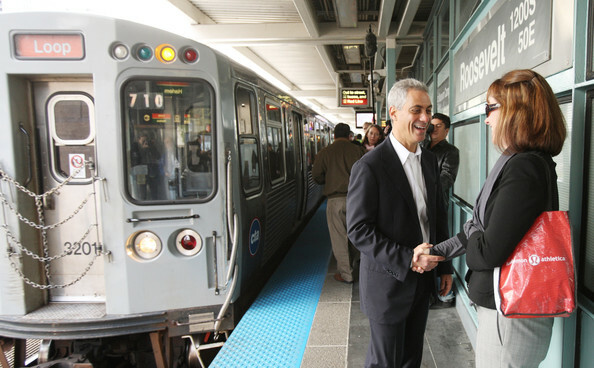 The city of Chicago, Illinois will elect a new mayor in a nonpartisan election on February 22, 2011. Incumbent Mayor Richard M. Daley, a member of the Democratic Party who has been in office since 1989. He is the former chief of staff to Mayor Richard Daley, former president of the Chicago Public Schools board, former president of the Chicago Park District, and former chairman of the City Colleges of Chicago. Graduated from with a B.A. in Political Science from the University of Illinois at Chicago; law degree from Loyola University Chicago School of Law. Chico's father is Mexican-American and his mom is of Lithuanian and Greek. U.S. Representative for Illinois's 7th congressional district, serving since 1997. 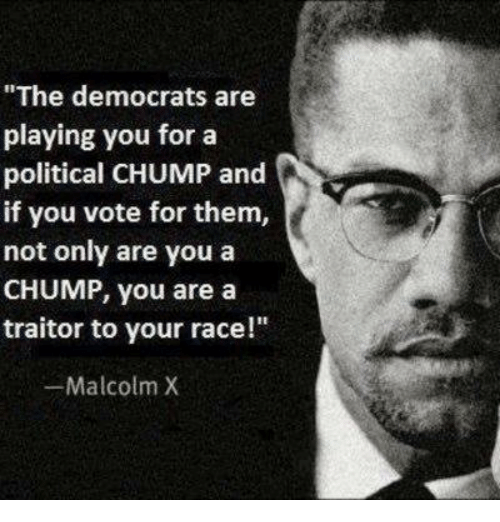 He is a member of the Democratic Party. The congressional district that he represents was the former House seat of Abraham Lincoln. Senior pastor of New Life Covenant Church in Humboldt Park. 5 years ago he appointed me as the Commissioner of the Zoning Board of Appeal. De Jesús is a black Puerto Rican. Rev. De Jesús also facilitates transformation that impacts City Hall to the barrio of Humboldt Park and all points in between. His most recent accomplishments include organizing the Latino Clergy to address the disparities in Latino hiring practices within the city of Chicago. He is the current City Clerk of Chicago and the former Illinois State Senator for the 2nd district of Chicago, which he had served since 1987. Graduated from Northeastern Illinois University with a B.A. and master's degree in education and guidance. Emanuel was chair of the Democratic Congressional Campaign Committee during the 2006 mid-term elections and remained a top strategist for House Democrats during the 2008 cycle. After Democrats regained control of the House in 2006, Emanuel was elected chairman of the Democratic Caucus. This made him the fourth-ranking House Democrat, behind Speaker Nancy Pelosi, Majority Leader Steny Hoyer and Majority Whip Jim Clyburn. Emanuel was born in Chicago to Jewish parents. His father, Benjamin M. Emanuel, is a Jerusalem-born pediatrician who was once a member of the Irgun, a Zionist paramilitary organization that operated in British-controlled Palestine. His mother, Marsha Smulevitz, is the daughter of a Chicago union organizer. The surname Emanuel was adopted, in 1933 or 1938, by the family in honor of his father's brother Emanuel Auerbach, killed in the War of Independence 1948 in Jerusalem. He graduated from Sarah Lawrence College in 1981 with a B.A. in Liberal Arts, and went on to receive an M.A. in Speech and Communication from Northwestern University in 1985. After serving as an advisor to Bill Clinton, in 1998 Emanuel resigned from his position in the Clinton administration and joined the investment banking firm of Wasserstein Perella (now Dresdner Kleinwort), where he worked until 2002. Although he did not have an MBA degree or prior banking experience, he became a managing director at the firm's Chicago office in 1999 and, according to Congressional disclosures, made $16.2 million in his two-and-a-half-years as a banker. Emanuel was named to the Board of Directors of the Federal Home Loan Mortgage Corporation (Freddie Mac) by President Bill Clinton in 2000. His position earned him at least $320,000, including later stock sales. During his time on the board, Freddie Mac was plagued with scandals involving campaign contributions and accounting irregularities. The Obama Administration rejected a request under the Freedom of Information Act to review Freddie Mac board minutes and correspondence during Emanuel's time as a director. She was the first and, as of 2010, the only, African American woman elected to the United States Senate, the first woman to defeat an incumbent senator in an election, and the first and to date only female Senator from Illinois. From 1999 until 2001, she was the United States Ambassador to New Zealand. She was a candidate for the Democratic nomination during the 2004 U.S. presidential election. She graduated from the University of Illinois at Chicago in 1969 and earned a Juris Doctor degree from the University of Chicago in 1972. As an attorney, Moseley Braun was a prosecutor in the United States Attorney's office in Chicago from 1973 to 1977. Moseley Braun was first elected to public office in 1978, as a member of the Illinois House of Representatives. When she left the state legislature in 1987, she was elected as Cook County, Illinois, Recorder of Deeds, a post she held for 4 years. Earned her Bachelor's Degree in public administration from Chicago's Roosevelt University and earned a Master's Degree in human services administration from Spertus Institute of Jewish Studies; Certificate in urban development, Spertus Institute; accounting courses, DePaul University; achieved a CPA. She earned a Doctorate in management of non-profit agencies, Capella University, School of Public Leadership. Founding Director of Target Area Development Corporation. Former Steelworker and union steward. William "Dock" Walls III is a former aide to Chicago's first African American mayor, the late Harold Washington and is currently the director of the Committee For A Better Chicago. A Graduate of Tuskegee University and Illinois Institute of Technology Kent College of Law. Chicago is 41.9% White, 34.1% Black, 17.1% Other races. Of this 27.4% of the population of Chicago is Latino.